The WPT500 is coming to London over the Easter weekend, and not only can you qualify for Day 1 of the $1 million guaranteed event at 888Poker, you can also play Day 1 online at the site – where you might have a greater chance of finishing in the money! The WPT500 is one of the most popular live poker tournaments in the world. 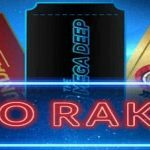 The event has been held annually in Las Vegas since 2014 – where it became the best attended event in the history of the World Poker Tour in July 2015 – and, on its first appearance in the UK, beat its guaranteed prize pool by more than 60%. Now the WPT500 is returning to the UK with a $1,000,000 guarantee. The conclusion of the event will take place at Aspers Casino in London over the Easter weekend; but, in the weeks leading up to the finale, players have the opportunity to play in live Day 1s in London, Newcastle and Milton Keynes, and online at 888Poker. Live Day 1s (with a buy-in of £425.00) are scheduled to take place daily in Aspers Casinos in London, Newcastle and Milton Keynes from Friday 23rd March to Sunday 25th March. The following Thursday, Friday and Saturday (29th to 31st March) there will be five further Day 1s played at the Aspers Casino in London. Day 2 is scheduled for Sunday 1st April, with the Final Table being concluded the following day. 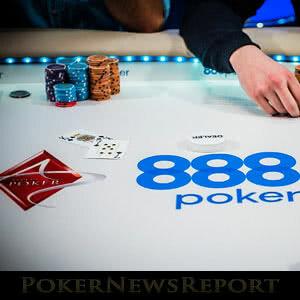 Before then, 888Poker has scheduled an online Day 1 for Sunday 11th March. The buy-in for this event is $565.00 and the site is providing a satellite route for the target event starting at just 1c. Subject to how well the online Day 1 is supported, the opportunity exists for 888Poker to slip in a couple more online Day 1s before the live Day 1s get started. As they say, “Watch this Space”. The structure of WPT500 events is that Day 1 comes to an end when 5% of the entries for each Day 1 are left. Those players can carry their chip stacks forward into Day 2, or – if their chip stacks are uncompetitive – play in another Day 1 to carry forward a better chip stack into Day 2. Only the biggest chip stack can be carried forward. All others are forfeited. 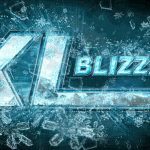 In theory, you could have 300 players entering the online Day 1, from which 15 players would qualify for Day 2. If the live Day 1s attracted an average entry of 100 players, only 5 players from each would carry forward chip stacks into Day 2. 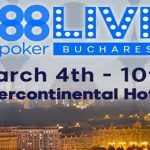 As there are fifteen live Day 1s and one online Day 1, a total of 1,800 players have entered the event. 90 players have qualified for Day 2. The top 12% of the total entries are guaranteed to cash in the event (a min-cash is worth $900). So even if you don´t qualify for Day 2, you could be in the money. With three times as many players taking part in the online Day 1 as the live Day 1s, you are three times more likely to finish in the top 12% of the total entry. You are also more likely (assuming you are one of the last players eliminated from the online Day 1) to finish in the top 8% of the total entry – in which case you will cash for $1,100 without even having to travel to London, as the funds will be paid directly into your account. The maths may be a bit flawed, but the logic is right – you stand a better chance of cashing if you play Day 1 online at 888Poker. Full details of the WPT500 London event can be found on the 888Poker website. The qualifiers for the online Day 1 are already running in the satellites lobby (look under the “Live Events” tab); and, if you have never played at the site before, be sure to read our 888Poker review before creating your account to see how you could qualify for an exclusive first deposit bonus plus up to $88 in free poker money. See you in London at Easter!